My co-workers and I (Edwin McMillan, Joseph Kennedy and Arthur Wahl) first synthesized and identified, that is, discovered, plutonium (atomic number 94, symbol Pu) at U.C. 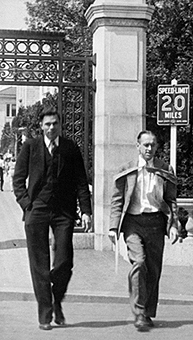 Berkeley on the night of February 23-24, 1941. We found this plutonium in the form of isotope 238 Pu. This isotope was produced by the bombardment of uranium with deuterons in the 60-inch cyclotron at U.C. Berkeley. Plutonium-239 was first isolated in visible amounts (the first such observation from a transmutation reaction) on August 20, 1942 and first weighed on September 10, 1942 in my laboratory at the wartime (WWII) Metallurgical Laboratory of the University of Chicago. While working there I was responsible for devising the multi-stage chemical process for the separation, concentration and isolationof plutonium, which was successfully used at the pilot plant, the Clinton Engineer Works, in Tennessee and the production plant, the Hanford Engineer Works, in the state of Washington. Plutonium-238 has become the energy source powering satellites and other projects of our national space program. Plutonium-239 is the main explosive ingredient for nuclear bombs and an important energy source of nuclear power reactors. 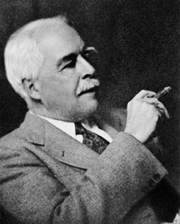 In 1944, I formulated the “actinide concept” of heavy element electronic structure. 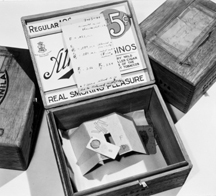 During the late 1930’s, my co-workers and I discovered a number of radioisotopes that have become the workhorses of nuclear medicine. John J. Livingood and I discovered radioisotopes, including iodine-131 and cobalt-60, that are crucial to the diagnosis and treatment of many life-threatening diseases. For example, treatment with iodine-131 made possible my mother’s complete recovery from thyroid disease. Former president George Bush and first lady Barbara Bush both were successfully treated for Graves’ Disease with this isotope. Emilio Segrè and I discovered technetium-99m, which is used in nearly ten million diagnostic procedures every year. Margaret Melhase and I discovered cesium-137, which has found substantial use as a gamma-ray source in a variety of medical applications, similar in practice to that of cobalt-60. In all, eight radioisotopes used in nuclear medicine were discovered by my co-workers and me. They are: cesium-137, cobalt-57, cobalt-60, iodine-131, iron-55, iron-59, technetium-99m, and zinc-65. Use of these isotopes for medical purposes has saved many thousands of lives. I am proud my work has proven such a benefit to society. My co-workers and I discovered nine additional transuranium elements (besides plutonium) during the years 1944-1974. 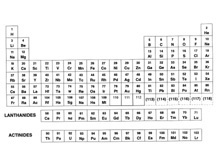 They are: americium (95), curium (96), berkelium (97), californium (98), einsteinium (99), fermium (100), mendelevium (101), nobelium (102) and seaborgium (106). 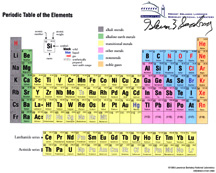 The synthetic elements beyond atomic number 103, the transactinide elements, i.e., rutherfordium (104), hahnium (105), seaborgium (106), etc., are expected to be analogous in chemical properties to the elements beyond atomic number 71, that is, hafnium (72) tantalum (73), tungsten (74), and so forth. The elements 93-99 were first studied chemically by the tracer technique and then later by work with macroscopic quantities. To date, (1997) the elements 100-106 have been studied chemically by the tracer technique; those experimental observations indicate that these elements generally have the expected chemical properties. This theory suggested there is a large group of acids and bases, called primary, which require no energy of activation in their mutual neutralization. There is another group called secondary. A secondary acid does not combine, even with a primary base, nor does a secondary base combine with a primary acid, except when energy, and frequently a large energy of activation, is provided. Primary and secondary acids and bases. G.N. Lews and G.T. Seaborg. J. Am Chem. Soc. 61, 1886 (1939). Trinitrotriphenylmethide ion as a secondary and primary base. G.N. Lewis and G.T. Seaborg. J. Am Chem. Soc. 61, 1894 (1939). The acidity of aromatic nitro compounds toward amines. The effect of double chelation. G.N. Lewis and G.T. Seaborg. J. Am Chem. Soc. 62, 2122 (1940). In 1940, my colleague Jack Livingood and I published the first Table of Isotopes, a total of 17 pages. This edition was followed by another in 1944 (32 pages); again in (1948), this time published with Isadore Perlman (83 pages); in 1953 with Perlman and J.M. Hollander (183 pages) and in 1958 with Hollander and D. Strominger (319 pages). In the 1953 Table we first introduced the superscript “m” following the mass number to designate the metastable excited state. The Table of Isotopes has continued to be produced at Lawrence Berkeley National Laboratory by the Isotopes Project group. The data evaluation and dissemination activities of the group are coordinated with other national and international data efforts. 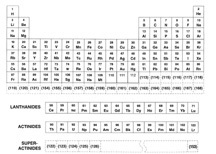 The most recent edition of the Table of Isotopes (the 8th), published in 1996, fills two large volumes numbering over 3,000 pages altogether and contains nuclear structure and decay data for over 3100 isotopes and isomers. This edition was also published on CD-ROM, initiating a new electronic era. The CD-ROM edition provides considerably more data in a very compact format and can be easily updated from the underlying databases. In addition, the Table of Isotopes data are also available on the World Wide Web. My stay in Washington, D.C. during the 1960’s only temporarily interrupted the work I began in this field ten years earlier. When I returned to Berkeley I worked with my students and other co-workers, including Walter Loveland, Darleane Hoffman and David Morrissey. This research employed radiochemical methods to study the mechanisms of heavy ion induced nuclear reactions over a broad range of bombarding projectiles and energies. We studied low energy, deep inelastic reactions with special emphasis on charge equilabration, the properties of heavy residues in intermediate energy nuclear collisions and target fragmentation in relativistic and ultrarelativistic reactions. We also made attempts, so far unsuccessful, to synthesize and detect superheavy nuclei in the “Island of Stability” postulated to center around the element with the atomic number 114. For example, in the low energy reactions we identified the relative yields of quasi-elastic scattering, deep inelastic scattering, fusion-fission, and fission de-excitation of transfer and deep inelastic products from the fragment mass distributions. The multi-nucleon transfer reactions were used as effective tools to synthesize many new heavy nuclei. In the 1940's and 1950's, my co-workers and I made chemical identifications of the products from the first bombardments with light projectiles (protons, deuterons and helium ions) in the 100 Mev energy range using the then new 184-inch cyclotron at Lawrence Berkeley Laboratory. We observed in each case a large number of radioactive product isotopes extending over an atomic number range of 10 or 15 or 20, corresponding to the ejection of a large number of particles. In order to distinguish these reactions from the then ordinary nuclear reactions in which only one or two particles are ejected, in 1947 I coined the term “spallation” reactions. This term has since become standard in the field.